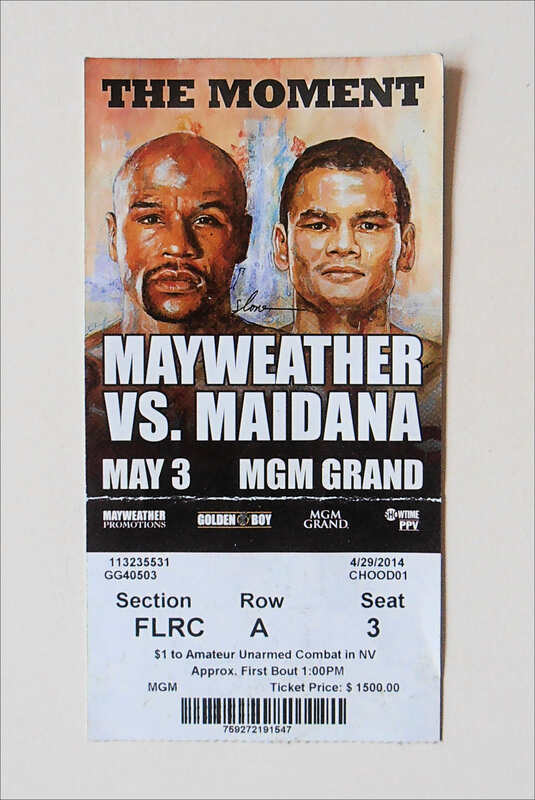 Description : Here we have an original used MGM Grand Las Vegas main event $1500 front row floor ticket for the world welterweight championship title fight between Floyd Mayweather vs. Marcos Maidana, billed as "The Moment",The bout was held on May 3, 2014, in the MGM Grand Garden Arena, at the MGM Grand Hotel & Casino in Las Vegas, Nevada, United States. 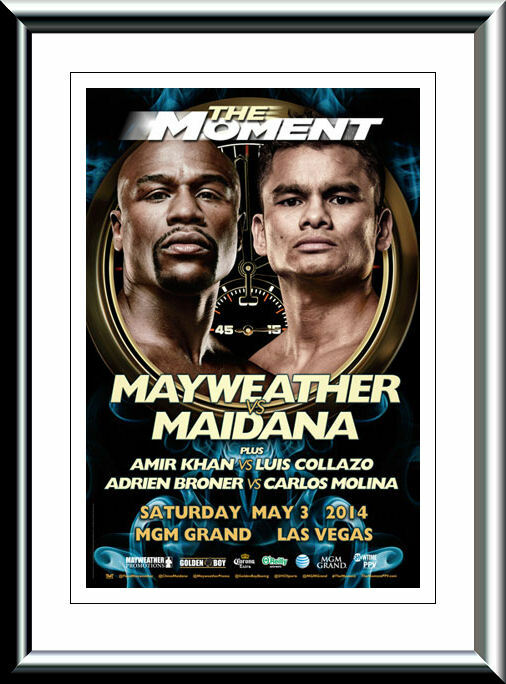 The fight was won by Mayweather in a highly contested 12-round fight via majority decision. Judge Michael Pernick scored the fight 114–114, a draw. 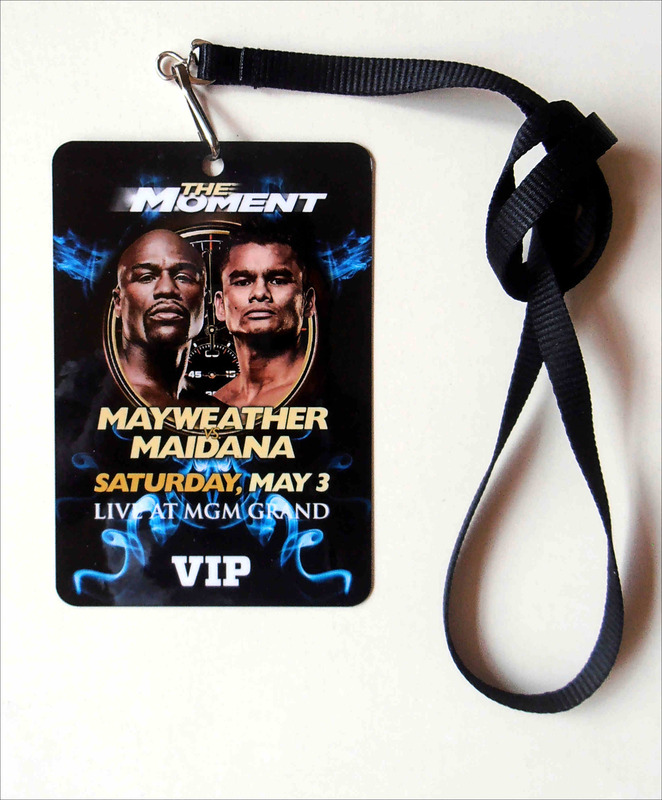 Judge Dave Moretti had it 116–112, and Burt A. Clements scored it 117–111.